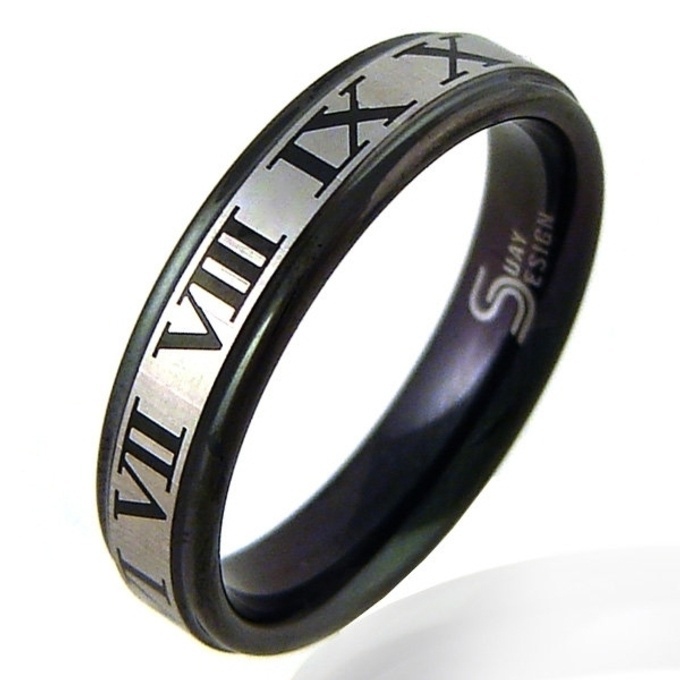 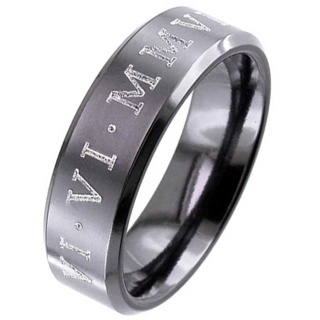 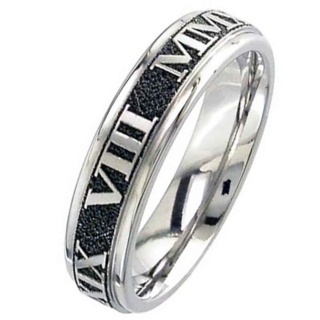 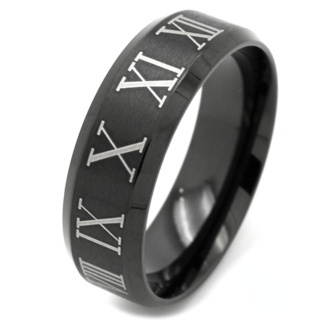 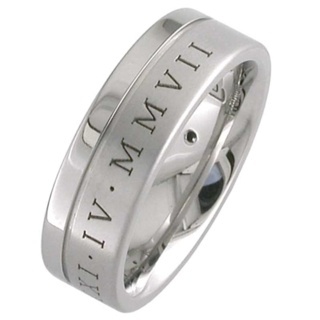 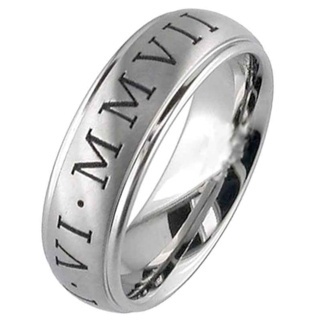 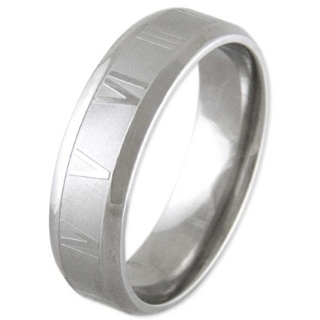 Striking Tungsten Carbide ring with a cool Roman Numeral feature and flat profile. 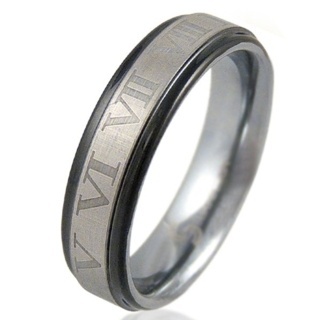 Dimensions 6mm. 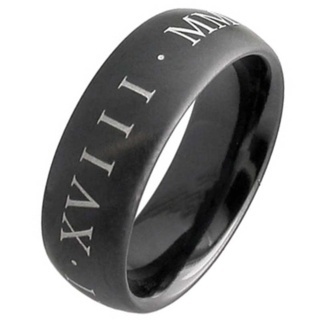 Numero is also available with a cool black and a sophisticated gold finish.